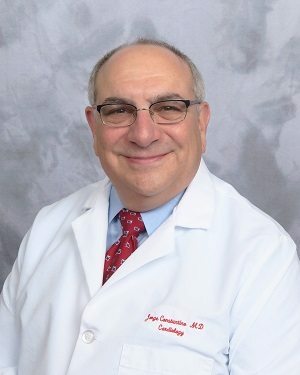 Jorge L. Constantino, M.D., FACC , has joined Albany Associates in Cardiology in Troy, New York, a practice of St. Peter’s Health Partners Medical Associates. Board-certified in internal medicine, Dr. Constantino has been practicing cardiology in Troy for more than 25 years. His professional interests include coronary artery disease, valvular disease, congestive heart failure, and arrhythmias. Dr. Constantino received his medical degree from the Cornell University Weill Medical College in New York City. He completed a residency in internal medicine at Worcester Memorial Hospital in Worcester, Massachusetts, and his fellowship in cardiology at Baystate Medical Center in Springfield, Massachusetts. Albany Associates in Cardiology is accepting new patients at 2 New Hampshire Ave. in Troy. To schedule an appointment with Dr. Constantino, or for more information, please call 518-458-2000.